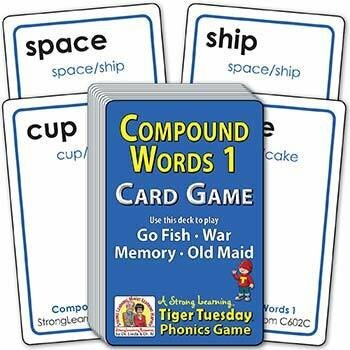 Players learn easy Compound Words, essential to reading, while playing popular card games. For this deck, matches are the first and last syllable of compound words, e.g. "cup and cake" or "fire and truck."